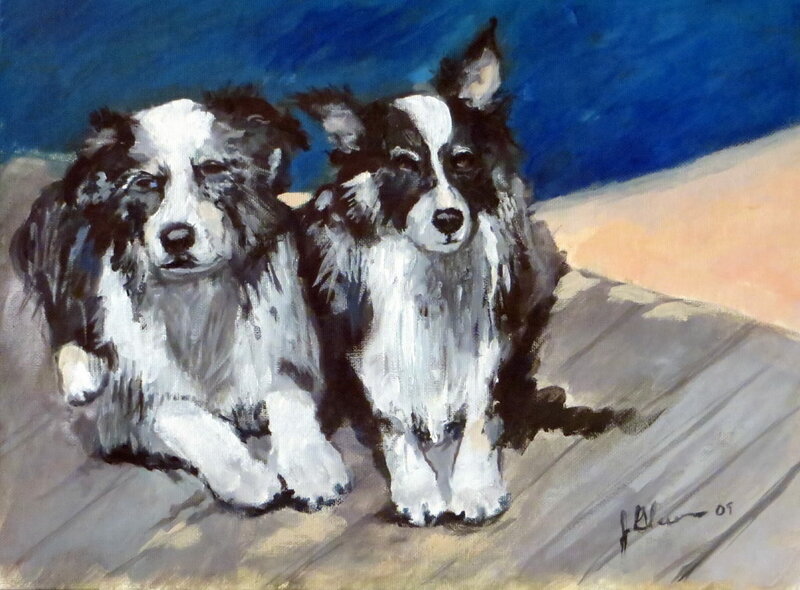 Jean Glaser, paints, primarily animal portraits. She has a great passion for all things living, there are zebras, chickens, bears, donkeys, even cats and dogs. She's been known to paint flowers and landscapes as well. Jean, paints in Park City, Utah where she has lived for the last 30 years. She grew up in Salt Lake City, Utah, where she developed an interest in art early on. Her mother painted as a hobby and several of her relatives on the East Coast are professional artists. She attended Arizona State University, and received a BFA in Ceramics with an emphasis in drawing. Jean, worked for a number of years at The Elaine Horwitch Galleries in Scottsdale, Arizona; where she refined her sense of art, leaning more towards contemporary works. She, was inspired by artists, such as Georgia O’keefe, Monet, Robert Motherwell, David Gilhooley, and many others. Over the years her art had to take a back seat to earning a living. She and her husband owned, and she ran a restaurant and bakery. Jean, described it as, "making food art, it just doesn’t have the longevity of other mediums”. After selling the restaurant she concentrated more on the animals that were a part of her life and her love for them intensified. She had a therapy dog and donated many hours to helping people thru pet therapy. When encouraged by a close friend to take a painting class, Jean’s passion for art was renewed. The subjects that she chose were those closest to her, the animals in her life. Jean works primarily in acrylics on either heavy grade artists' paper or on cradle boards. the acrylics are much kinder to the environment. 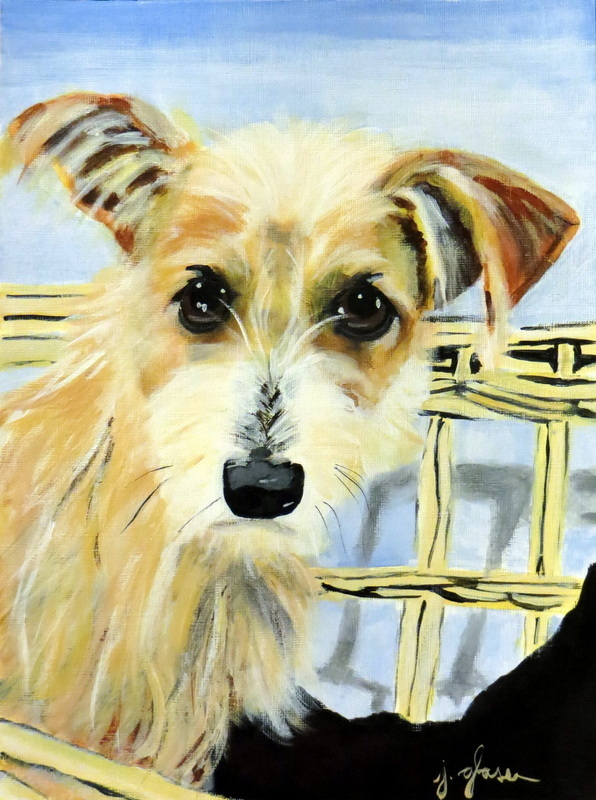 Friends and strangers alike constantly comment on how the personality of the animals emanates from her portraits. She, states that as the paintings grow towards completion it is as though she is having a conversation with the subject. Many of the works she has created are memorials to animals who have passed and these become cherished treasures. She says when an owner receives one, they are almost always teary.